Globally there are 60 countries that do not yet have professional accountancy organizations (PAOs) with sufficient capacity to adhere to international standards. An additional 93 PAOs do not yet have sufficient capacity to function effectively at all levels—e.g., full implementation of ethics, systems of quality assurance, or meeting the requirements for effective financial management of public services. 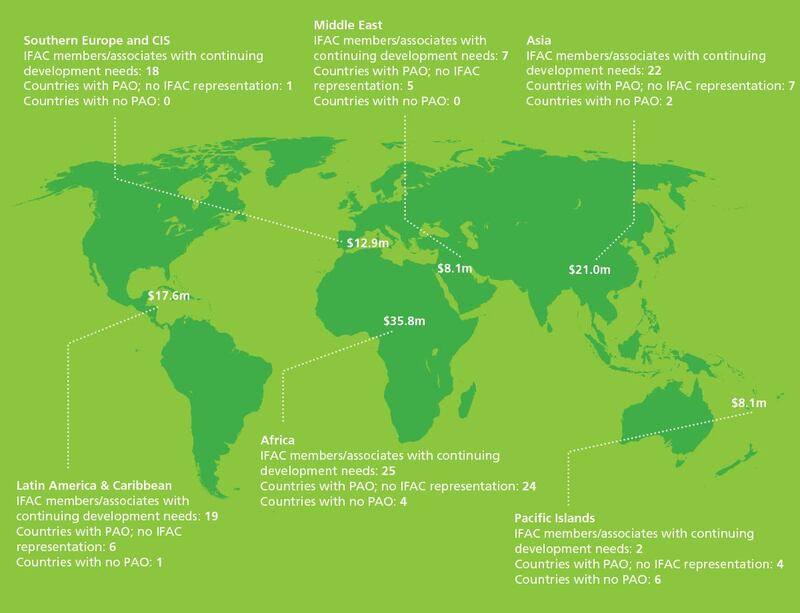 IFAC estimates that the cost to close this global gap between existing PAOs and needed PAOs is in excess of US $100 million, might take 30 years, and will require improved cooperation and collaboration between IFAC, international donors, and the international development community. Additional information this gap and the issues that need focus to fill the gap is available in the PAO Global Development Report, released by MOSAIC in December 2013.